As many as 90 trillion lifeforms live in or on the human body. No wonder you itch. We may not realize it, but each one of us is a walking ecosystem. Minuscule, eight-legged Demodex mites nestle head down inside the follicles of the eyelashes, feasting unnoticed on skin cells. Microscopic bacteria live on the tongue, teeth, and skin and in the intestine. Dormant viruses like herpes simplex may loiter for years inside nerve cells. Perhaps strangest of all are the self-replicating, viruslike pieces of DNA that infected ancient humans and still make up about 8 percent of our genome. Most of the time we share our bodies harmoniously with the 90 trillion or so microbes. But sometimes the arrangement turns contentious, as when blood-sucking bedbugs, fleas, and lice invade, or when herpes simplex or human papillomaviruses cause surface membranes to erupt in nasty pustules or warts. Just taking antibiotics may disturb the ecosystem in our gut by killing not only disease-causing organisms but also good bacteria, like Lactobacillus acidophilus. Richard Nixon lived in an abandoned tool shed while attending Duke law school. 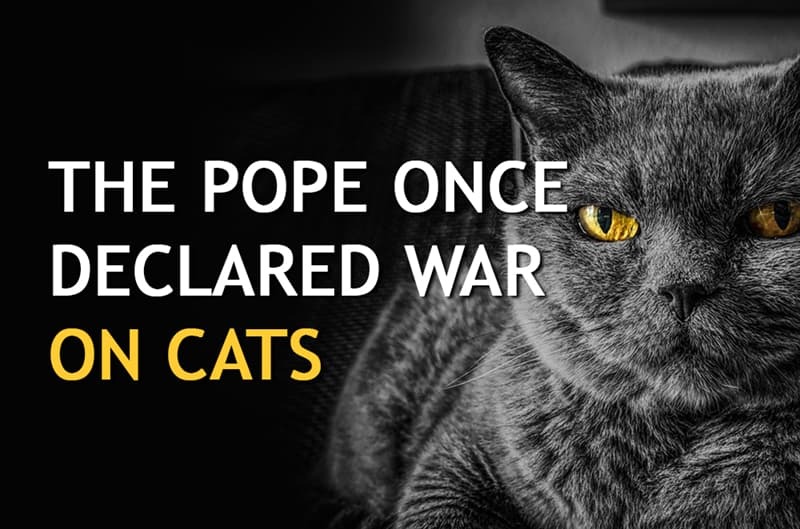 Pope Gregory IX, who held the papacy from 1227 to 1241, believed that black cats were instruments of Satan. In 233, he issued an official papal decree declaring that Satan was half-cat and sometimes turned into a black cat. Catholics around the the continent started slaughtering felines. It was a really bad idea - cats were the main predators of rats, who carried the Black Death plague. The engine on the first plane flown by the Wright Brothers had 12 horsepower.